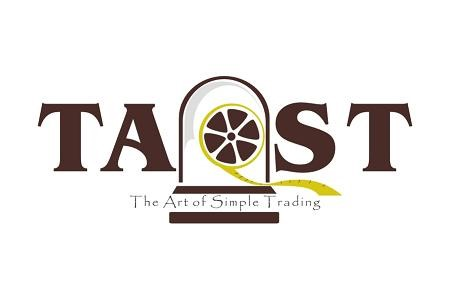 The Art of Simple Trading™: Ask The Trader ATT: How Many Day Traders Actually Make Money? 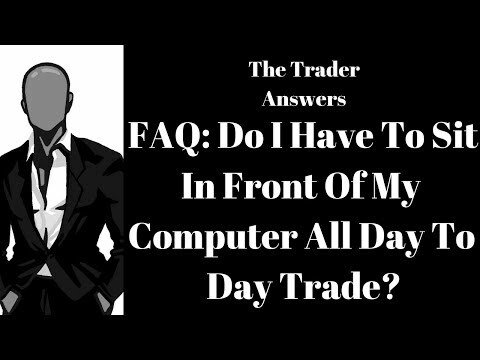 ATT: How many day traders are making a steady, comfortable and consistent living just by day trading? As often happens, the answer is hidden inside the question itself. Most of the people who want steady, comfortable and consistent income tend to want a magic fix to their money woes. They want a sizeable, recurring, but easy income stream. This is why so called passive income is the holy grail. It’s also why trading generally (and day trading specifically) is not a good fit for most people. Thus the number of consistently profitable day traders is likely lower than you want… but higher than the personal finance world suggests. All day traders want to be in the winning category, but very few make it. Here’s a look at some characteristics of each. Those that fail. They represent 90 to 95% of day traders and are usually the people that focus on making big money and/or come into the day trading arena with financial goals (I need to make at least $10k per month). Their decisions are based exclusively on the money they want to make. They often spend hours designing fancy spreadsheets for calculating their yearly financial target, down to an amount per day, and even an amount per trade, etc. They equate success with having a high win rate (ugh) because they’ve been taught in both their pre trading as well as their trading lives that the more you win, the better you are, and that equates to success. This is the source of the saying, “you can’t lose taking a profit” and other such nonsense. You know the ones. They think about what they’re going to buy with their new found riches before they make their first trade. Then there are those that succeed. This is by definition a very small group, that is focused on risk (how much they can lose on trades), as opposed to how much they can make. They spend their efforts developing the proper risk management mindset, tools and protocols. They spend their time on what they can control, not what they can’t control. They treat money as a tool for making a trade… as so much inventory if you will. They don’t focus on it as a means to an end; they manage the emotions around wins and losses because they understand that both are simply part of the overall process. You win some and you lose some, so why get terribly excited about something that is expected to happen. They don’t focus on or concern themselves with their win loss ratio, because any experience and successful trader will tell you, it means very little. You can lose on 7 of 10 trades and make more money than someone who wins 7 of 10 trades, if you know what you are doing… and have the right mindset. Day trading is about managing risk… using your risk capital effectively and intelligently to generate superior risk adjusted returns. It’s not about picking stocks or fancy equipment/software. Talk to any failed day trader and ask them why they lost their money (if you dare). They’ll likely regale you with stories about everything that went wrong. They’ll talk about this one trade that destroyed their account… or they’ll have a story about how a stock looked great, they bought at the lows, or so they thought, and they bought more as it went lower… or they’ll have an excuse that they got in at a bad time... or that the market is rigged, or some other excuse. To make themselves feel better about their failure, they will tell you it’s impossible to be a consistent day trader, and nobody can do it… leaving it to you to conclude that you can’t because they couldn’t. Day trading doesn’t require any special training, or degrees. You can have a Phd or be a high school dropout. Don’t let the PhDs intimidate you… In general, the “smarter” you are, the harder it is to trade profitably because you’re often unwilling to dumb yourself down to an execution robot. Or at least that’s my experience with “smart” people. The market doesn’t care about your fancy degrees or lack thereof… and neither should you. If you’re emotionally balanced, willing to admit your shortcomings, willing to learn from your mistakes, and make preservation of your capital (the life blood of your trading existence), a priority, the profits will come with time IF you dedicate yourself to learning the craft. When I say dedicate, I mean putting in 10,000 hours or more. Most people run out of capital long before investing the time needed. I know a trader who blew up multiple accounts over a few years but now makes more in a month than most make in a year. Does he make the same amount each month? Of course not and his income varies a bit each year…just like a salesman on commission. So fix your question. Ask a better one to get a better answer. Focus less on how much money you can make and focus more on how much you could lose or might lose, and how you are going to control your risk… because you’ll have losses for sure, and they’re the only thing you can control in this business.